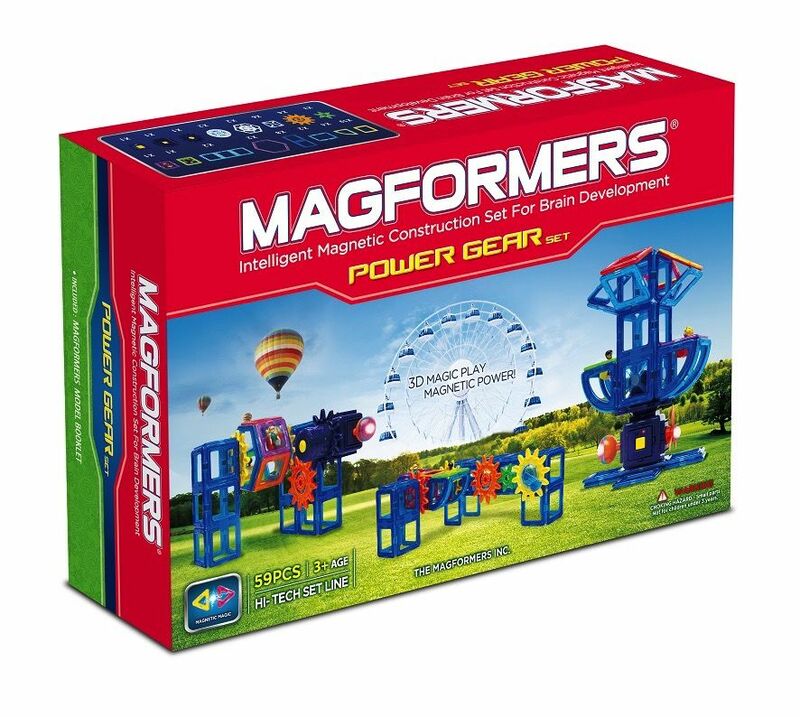 Intelligent magnetic construction set for brain development. *This large set cannot be shipped for free or flat-rate shipping outside Tasmania. Please email shop@reliquaire.com for an interstate freight quote prior to purchase. This kit has diverse LED pieces as well as all new gear pieces in this set will allow you to create colourful constructions that combine standard Magformers pieces with gear movement. The Power Generator is the piece that motorises the light, wing and gear movements in this set. It is rechargeable by USB, so no battery is required! There is also a gear handle that lets you function any gear movements manually. Lots of fun for tomorrow’s engineers! !